Hours of Operation: Wednesday, Saturday, and Sunday from 9:00 a.m. to 3:00 p.m.
Fees: $10 per half ton or trailer, including trees. Un-bagged leaves and grass are accepted free. The R.M. of Good Lake No. 274 is updating records pertaining to property tax exemptions under Section 293 of The Municipalities Act. On October 22, 2018 all ratepayers who may be eligible for this exemption were mailed a notice with a form to complete to update our information. Many eligible ratepayers have not returned this form, therefore we are extending the submission deadline to February 28, 2019. We will be using the information provided on this form to verify eligibility. It is important to note that even if you are eligible for an exemption, if you haven’t completed the form to update your information, you may not receive the exemption for the 2019 tax year. Check out the EVENTS tab to keep up to date on meeting dates, office closure dates, election dates, etc. 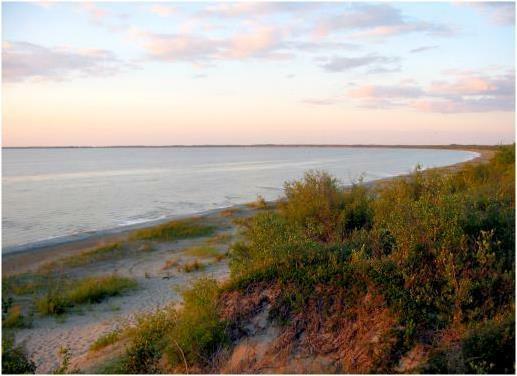 We are home to Good Spirit Lake, just half an hour's drive northwest of Yorkton, Saskatchewan, Canada and the Trans Canada Yellowhead Highway. It's a beautiful spot, famous for its sand dunes and friendly, shallow beaches. It is also home to the beautiful Good Spirit Lake Golf and Family Resort, beside the Good Spirit Lake Provincial Park. Well-developed snowmobile trails and renowned goose and duck hunting also make the area a popular destination. Good Spirit Lake has many well established resort areas, with people from all over viewing it as the place to own a cottage. Many are purchasing lots with the intention of making these resorts their permanent residence or retirement home. The R.M. of Good Lake has a diverse blend of excellent farmland and pasture land surrounding the lake. The R.M. 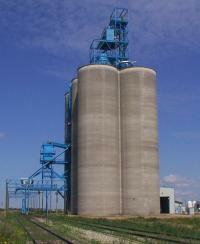 of Good Lake is home to the Viterra and Pioneer grain terminals, which are major delivery points for grain and oilseeds in the Canora area and beyond. For much more information check out the Resort Properties. Click here to see what can be recycled and what are unacceptable items. The RM office is open Monday to Friday from 8:00 a.m. to 4:00 p.m., and closed over the lunch hour.